Your skin is your largest and fastest–growing organ. It serves as a protective casing that covers your entire body (the amount of skin on the body of the average human adult stretches more than 20 square feet and weighs roughly eight pounds!) and does a long list of critical jobs that keep you alive. Along with keeping your insides on the inside, your skin shields your fragile internal organs from inhospitable environments. It helps regulate your body temperature, contains the nerve system that creates your sense of touch, and keeps out germs and bacteria that might make you sick. It also blocks harmful ultraviolet (UV) radiation from penetrating your organs. Because of that last job, your skin is also particularly vulnerable to cancer. Skin cancer is the most common form of cancer in the world, accounting for an estimated 40% of new cancers diagnosed globally every year. In the U.S., there are more new cases of skin cancer diagnosed each year than cancers of the breast, prostate, lung, and colon combined. Given the extremely high prevalence of skin cancer, and how easy it is to take skin health for granted, it’s important to get informed about skin cancer, practice good habits, and protect yourself and your family from a preventable but potentially dangerous disease. When cells in the skin become damaged, a person may develop skin cancer. 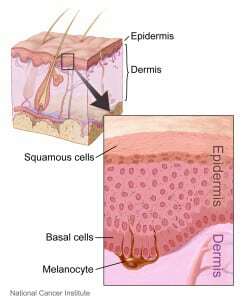 There are three main types, named for the three types of skin cells described above: basal cell carcinoma, squamous cell carcinoma, and melanoma. Basal cell carcinoma is the most common and least dangerous, squamous cell is less common and more likely to spread, and melanoma is the rarest and the most dangerous of the three. Your skin does a great job at protecting your internal organs from UV rays. But this valuable service comes at a cost. Anyone who has forgotten to put on sunscreen and spent a little too long outside knows the symptoms that appear when damage has occurred: your skin becomes tight, painful, and burnt. While sunburns are painful and unsightly, they are far from the most dangerous aspect of UV radiation. After the sunburn fades, severe UV radiation damage and/or long-term sun exposure can alter our DNA and cause us to develop skin cancer. 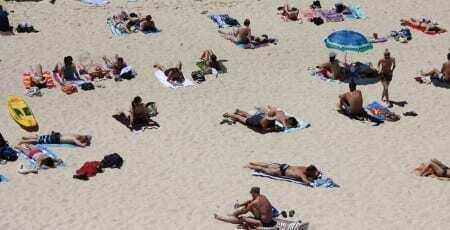 Some people are more likely to develop skin cancer than others. By collecting and studying data about the genetic characteristics, environmental influences, and lifestyle choices of skin cancer patients over many years, doctors have identified certain factors that are common among people who have developed the disease. While some of these factors have not been proven to cause skin cancer, each has been observed as being common among a significant number of people with the disease. Skin cancer has been linked to several factors that increase the likelihood of that person developing the disease. These factors can be divided into two categories: genetic factors and environmental factors. 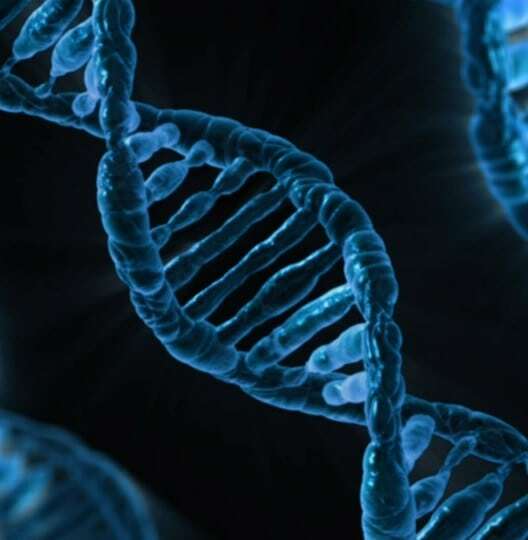 Genetic factors are characteristics that a person is born with, while environmental factors include the things a person is exposed to over the course of his or her life. 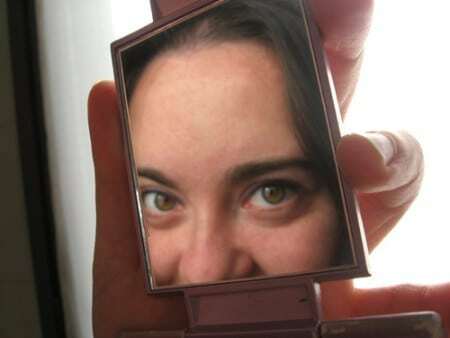 A hand mirror helps you examine hard-to-see places such as the back or your ears. There are many simple practices and minor lifestyle changes that can help prevent the development of skin cancer. While most prevention measures involve protecting oneself from the sun and avoiding certain chemicals, another critical element to maintaining good health is by regularly monitoring your skin. Performing frequent self-checks to keep an eye on changing moles and identify areas with abnormal color, size, texture, or shape goes a long way to stopping cancer before it starts. Both types of prevention measures are particularly important for people who have a high degree of skin cancer risk due to genetic factors or have developed skin cancer in the past.